It’s another week of stellar visiting artists (including a five night stint for one of them) and outstanding resident artists, as well as an early Mardis Gras celebration, and a celebration of Muddy & the Wolf that will have blues lovers swooning. 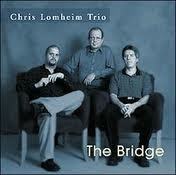 Chris Lomheim Trio @ The Artists’ Quarter, Saint Paul. 9pm ($5) Lomheim is a talented, expressive pianist who takes inspiration from Bill Evans, among others. He’s a founding member of the Illicit Sextet, and is an especially sensitive when accompanying vocalists. Always well worth hearing. Zack Lozier Trio @ The 331 Club, Minneapolis. 9pm (Tip Jar) Trumpeter Zack Lozier gathers up Steve Pikal on bass and Stephen Hobert and piano to entertain the folks at the Northeast Institution. Zack plays with Doc Severinson’s Band on its Midwest tours, and regularly appears with the Jack Brass Band, the Adam Meckler Orchestra and other top notch bands from the area. Expect a lot of music inspired by Louis Armstrong. Pete Whitman’s X-Tet @ The Artists’ Quarter, Saint Paul. 9pm ($5) It’s the last Thursday of the month, so it’s time for the ten piece band that encompasses the veteran 80-something Dave Karr, as well as established players like Dave Hagedorn on vibes, Phil Hey on drums, and Laura Caviani on piano, not to mention energetic newcomers like Adam Meckler on trumpet. Here’s a video of the group from a few years back. Stephen Hobert & Brian Courage @ The Icehouse, Minneapolis. 6:30pm (free) Keyboard Hobert is slowly making himself indispensable to the jazz community in town, showing up in a variety of bands, including some that use his accordion skills. Brian Courage is a bass player who is relatively new to town, and is also proving to be a bassist to call when you need a good foundation for your music. This “dinner hour” show can feature much noise from diners, so try to sit close to easily hear the music. Lynne Arriale @ The Artists’ Quarter, Saint Paul. 9pm ($10) Pianist Arriale was most recently in town accompanying singer Rondi Charleston, but she’s also appeared on her own at the old Dakota. 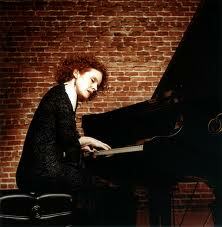 Arriale has thirteen albums to her credit, in which she displays a joyous imagination, and a love for tunes with good melodies, from Monk to Gershwin, and the Beatles, as well as her own originals. She’ll be accompanied by bassist Adam Linz, with drummers Jay Epstein on Friday and Dave Schmalenberger on Saturday. I did a phone interview with her that aired on my show this past Saturday. You can check it out on the archives, or wait a few days when I’ll be able to transcribe it and put it here. JoAnn Funk and Jeff Breuske @ The Saint Paul Hotel Lobby Bar, Saint Paul 7pm – 11pm. (Free) Saturday night people watching can be fun at the Saint Paul Hotel, given the number of weddings and other events that occur there, and Fridays are a bit quieter, but the real reason to stop by is to hear pianist/vocalist Funk and bassist Breuske give life to songs by Nat King Cole, Blossom Dearie, Dan Penn and others. Benny Weinbeck Trio @ Parma 8200, Bloomington. 7:30 – 10:30pm (Free) Weinbeck (piano) along with Gordy Johnson (bass) and Phil Hey (drums) have moved from the Chambers Hotel (now that D’Amico no longer runs the kitchen) to Parma 8200 in Bloomington. Those who don’t live nearby will be well rewarded with a trek to the area immediately SW of 100 & 494, not only with sublime music, but with good food. Courtney McClean & the Dirty Curls @ Amsterdam Bar & Hall, Saint Paul. 9pm (Tip jar) Courtney McClean is a banjo player, comedian, and songwriter whose unbelievably dirty lyrics, often laced with four letter words, will cause you to convulse with laughter. Not for the easily shocked. Also: Valley Meadows, and Gus Lynch. Mary Cutrufello and Scottie Miller @ Harriet Brewing Tap Room, Minneapolis. 7pm. (Free) I’m a big fan of both of these artists, and this is a rare chance to see both in an intimate venue. It’s winter, so the Tap Room’s overhead doors are closed, and you need to get there early to avoid standing in line to get in. Scottie “Bone” Miller is an excellent piano player and singer-songwriter, weaving blues, soul, and a bit of New Orleans into his songs. He also happens to be the touring pianist for Grammy nominee and award winning singer Ruthie Foster. Mary Cutrufello has been on the Tonight Show and Austin City Limits (2x) and has toured with The Allmans, Government Mule, and Dale Watson. The Strib declared her “The Biggest Rock Star the Twin Cities doesn’t know.” Scottie starts at 7pm. Mary starts at 9pm. Hot Pants East @ The Amsterdam Bar & Hall, Saint Paul. 10pm (Free) The quartet of deejays that spin rare soul & funk are traveling cross the river to Saint Paul for a monthly gathering at the Amsterdam. The tables in the bar will be moved away for plenty of dancing. Lucinda Williams @ The Dakota, Minneapolis. 7pm ($60/$50) This gig started out for two nights, and now has expanded to Five, with tickets flying out the door. Williams has a world-weary voice that’s just right for her sometimes rockin’ and always brutally honest songs. I understand that she’ll be playing with one other musician, so expect an intimate evening of Americana. Check out this video. Bone-tones Reunion for 25th Annual Mardis Gras Dance @ Withrow Ballroom, Withrow. 7pm ($15) What may be the first Twin Cities Cajun band has been brought back for this very special event by the Krewe de Walleye. Doors open at 5:45, and there’ll be food for sale, dance lessons at 6:15, and a costume contest and parade at 9pm. Get out your dancing shoes and let the Bon Temps Rouler! Saints of Circumstance @ The Whiskey Junction, Minneapolis. 9pm ($?) If you didn’t get to take in the Dark Star Orchestra at First Avenue on Wednesday, here’s a consolation prize that’s pretty worthy in and of itself. The Saints do a great job of channeling the Grateful Dead, and tonight they’ll be tackling the Dead’s songs of winter, including most of the album In the Dark. Though not required, tie-dyed clothing is always appropriate. Blues at the Crossroads featuring James Cotton @ the Guthrie Theater, Minneapolis. 7pm ($36 – $51) The Fabulous Thunderbirds join Blues At The Crossroads 2 as the core band backing greats James Cotton, Bob Margolin, Tinsely Ellis, and Jody Williams. They’re celebrating the blues of Muddy Waters and Howling Wolf, who were rivals of a sort, but giants and innovators when it came to the blues. James Cotton might be the headliner, but Ellis, Margolin, Williams, and the Fab T-birds are no slouches. The inspiration for Suite Judy Blue Eyes, in her younger days. 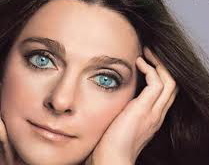 Judy Collins @ The Dakota, Minneapolis. 7pm ($70) & 9pm ($50) A folk giant (giantess?) Collins scored big with songs like Suzanne, I Think It’s Gonna Rain Today, Both Sides Now, and Someday Soon. She also did a version of Marat/Sade! Along the way she met and made friends with many of the musicians who helped shaped both folk and folk-rock, and she does a superb job of weaving stories into her presentation. This entry was posted on Wednesday, January 30th, 2013 at 5:23 pm and is filed under Weekly Preview. You can follow any responses to this entry through the RSS 2.0 feed. You can leave a response, or trackback from your own site.